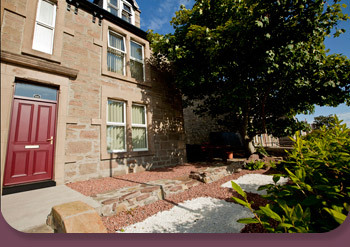 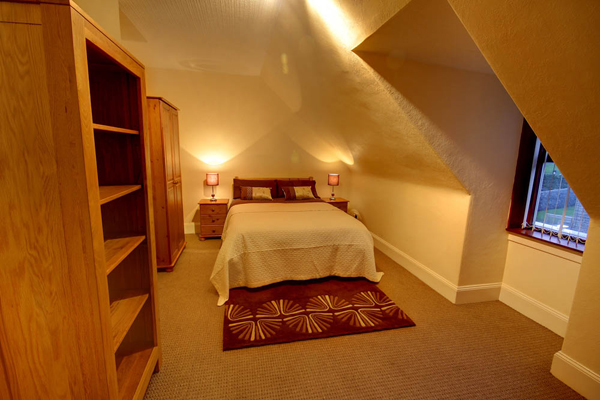 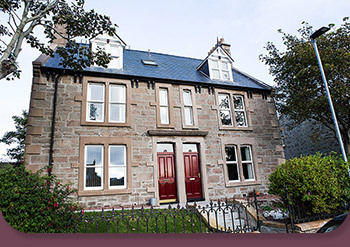 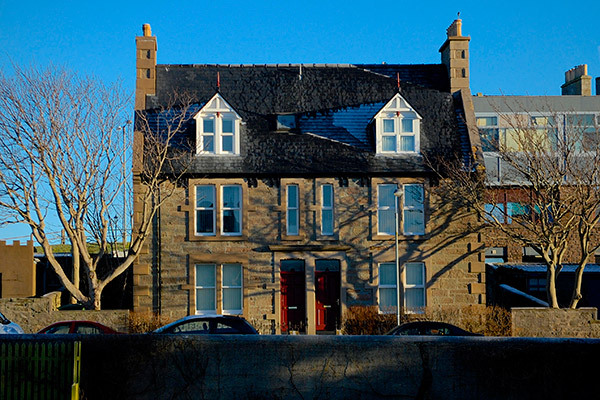 One of our short stay self-catering apartments is 66a St Olaf Street, Lerwick. 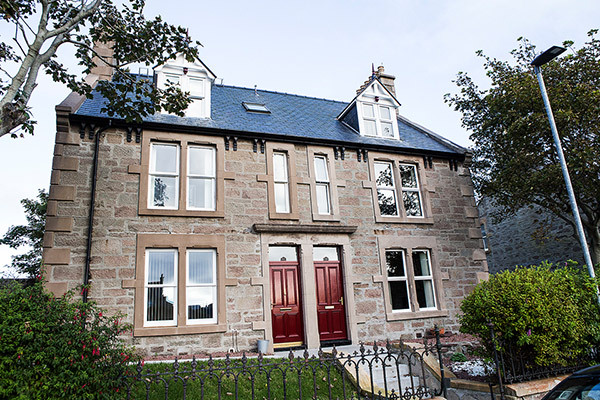 Part of what was originally a grand, stone-built home, it has been well maintained and brought right up-to-date. 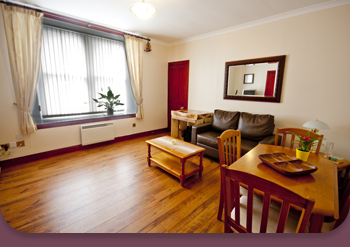 The apartment can sleep up to 6 people. 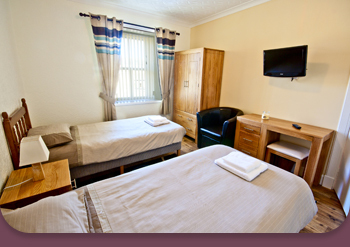 Both bedrooms have high quality leather sofa beds, should extra sleeping space be required. 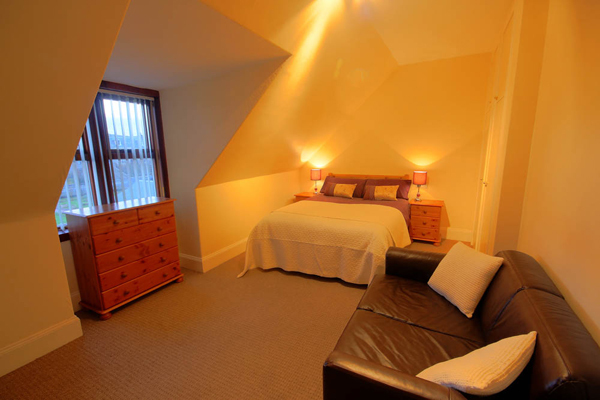 The apartment lies at the heart of residential Lerwick, a few minutes walk from the town centre. 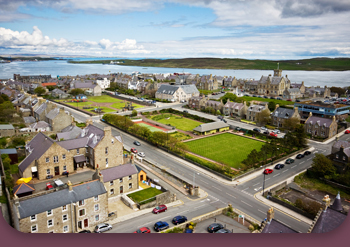 This first floor apartment has exceptional views over Lerwick's central parks. 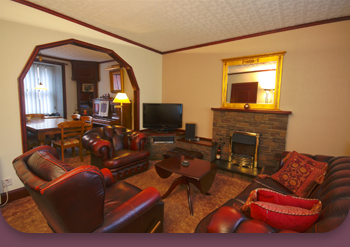 The Up-Helly-Aa procession passes on the street immediately below the lounge window. 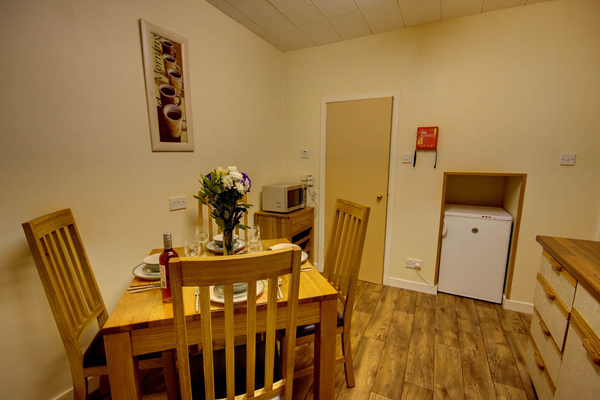 It is maintained to a high standard, kept very clean, heated throughout, smoke and pet free with ample parking. 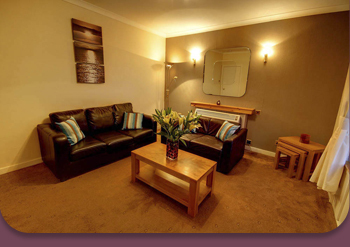 A very comfortable stay, very handy for the Garrison Theatre and particularly good for large groups. 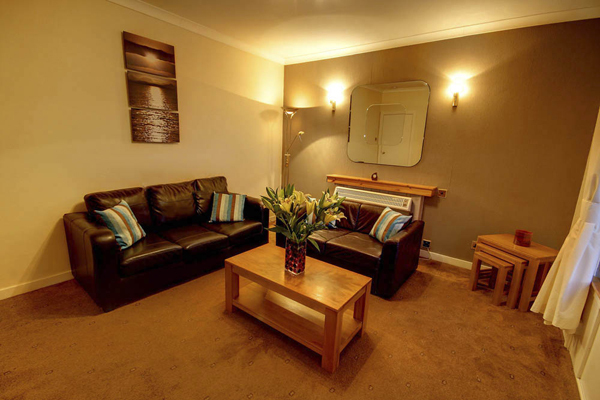 The ground floor 1 bedroom flat was particularly nice with modern decor and a good-sized TV. 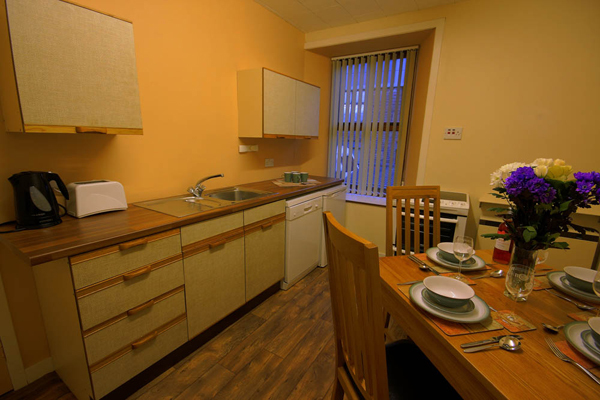 The living spaces and kitchen area were very clean and comfortable and it was very useful to have washing facilities. 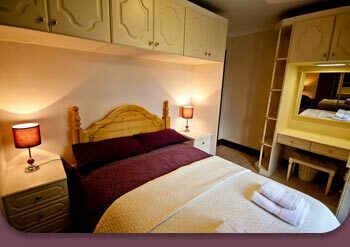 All in all, a very enjoyable stay.